Open blocked website at school/Work is a well search topic over the Internet.Since the revolution in web security is prime concern hence public place,school.Various Collages/Office blocked site access for better working condition.In this post, we are going to cover the topic access to blocked sites which allow unrestricted web access at any place across the globe.in this post, we will be sharing with you some of the best methods to get on blocked websites at Work.You can also read my previous post on remove memory card password. To open block sites at school using proxy is super easy & extremely popular.proxy server are sites which ip the users details from requested server & map that request with some other code so that requested server doesn’t distinguish among url.There are hundreds of proxy sites available which are free and very good at their work you can also refered our below list to open block sites at school.you can also try how to bypass surveys. 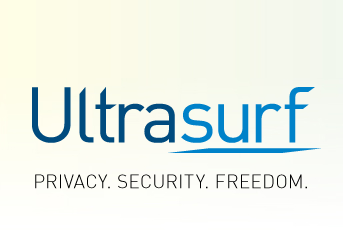 In this we are bypassing the user request to server with the help of software.you can use ultrasurf proxy software to access block websites at office/school.This software is free you can download it from here.It has great features which gives it enormous power to open any block websites at public place or school/home. the interface of this app is super easy.if you want to use unrestricted access of internet on your pc you must try ultrasurf. In this method ,we can access blocked sites at any place with ip address of any sites.to find out the ip address of any sites we have to CMD i.e command prompt on windows computer or you can also use online tool for it.then just paste that ip into url field of ,your browser and hit enterâ€¦â€¦.or tadaâ€¦.you have website access to blocked site. There’s another way to do above process that is online go to hcidata.info.put the sites name in the field then click on find ip(as shown below comments). in this method,we can access blocked site at school using the chrome extension.Hola is popular browser proxy extension which integrate the proxy seamlessly to the browser so that user don’t need to visit proxy sites to open blocked sites.you can install this extension of chrome or firefox at free of cost. in this method ,we will see how to open blocked site using the translator services.in this kind of services user have to type the url into the translator site then that translator site convert that Â text into some other text then send request to the server.in this service we just discuss the server to make it behave like a real. Hope we have enjoyed my article on unblock websites at school.if you have any issue then write down in below comment.i will more than happy to answer it for you. Its interesting to learn of the ways to access or open blocked sites using some proxy software. However, my question is why doing this? Is it legit? There must have been good reason(s) why the site was blocked in the first place. I not too sure if this is smart move. I stand to be corrected, this seems to be sneaky!